Though many are harmless and even beneficial, invertebrates are some of the world’s most feared and dangerous creatures. 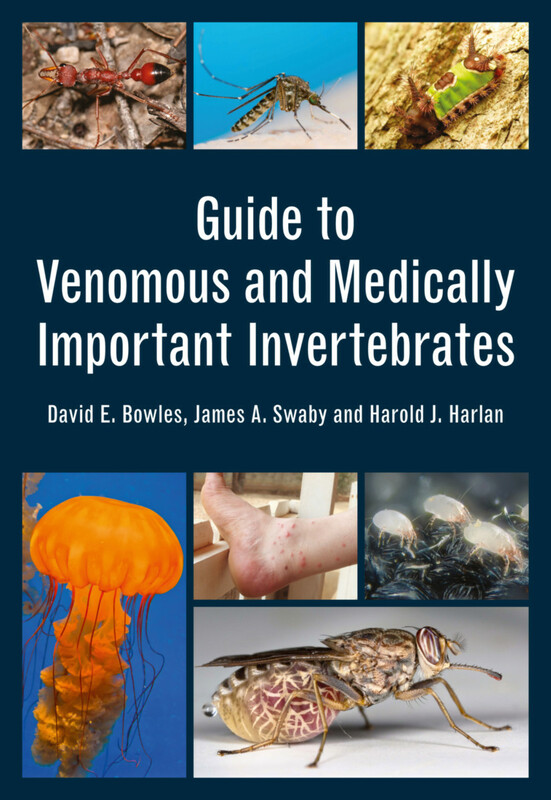 Guide to Venomous and Medically Important Invertebrates describes the health threats posed by invertebrate groups worldwide, from physical pain and annoyance to disease transmission risk. Featuring clear photographs, distribution maps and descriptions of biological, physical and behavioral characteristics of key groups, this book aids identification of potentially harmful invertebrates. It also summarizes personal protection measures to reduce the risk of attack and disease, and provides guidance on treatment. This book will help to protect the health of travellers and serve as a reference for medical personnel working in high-risk areas, as well as those interested in entomology. Doctors David Bowles, James Swaby and Harold Harlan are retired United States military medical entomologists. They have more than 90 years' collective experience working with and publishing on venomous and medically important invertebrates from around the world.